Survalent operates in over 30 countries, offering their product and services to utility operators around the globe. Survalent approached us with a prioritized marketing strategy : migrate from their old web platform to a brand new website. The challenge with their existing website primarily revolved around convoluted content organization, making it difficult for the end-user to find what they are looking for. Similarly they wanted to implement a site-wide CRM integration strategy with Salesforce. This would allow them to centralize and manage leads, support requests and contact inquiries from one system. We worked with the wonderful people in Survalent’s marketing department to develop a concise content, layout and design strategy to carry their new website into a modern architecture that can be expanded and adjusted seamlessly and painlessly. The end result is a website that is easy to navigate and organized intuitively. The client was very pleased with the result and continues to engage us for ongoing improvements. Survalent’s core business model is to offer support, services and product solutions that allow utility companies to streamline operations, increase availability and efficiencies. 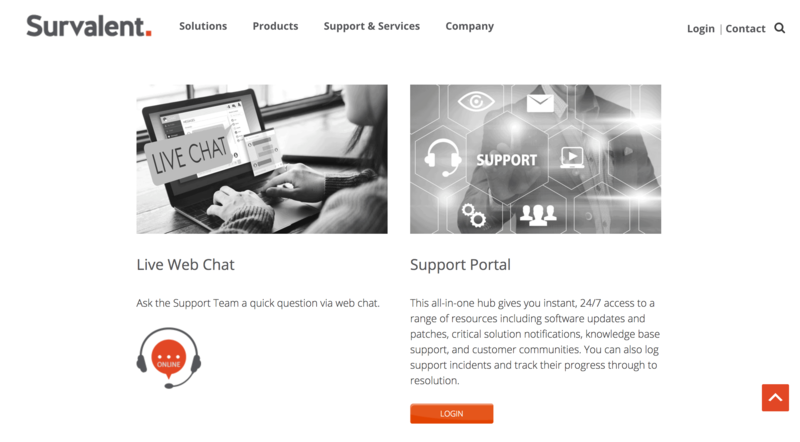 Because these elements form the core of Survalent’s business model, it was an imperative requirement that the website be implemented and launched with high availability in mind. Up-time was crucial from a business standpoint. We developed a fully redundant solution for Survalent that implemented load balancing, caching, distributed filesystems and clustered databases across redundant hardware. This dramatically increased the availability of Survalent’s web presence.